Fluid power is the utilization of fluid or gas under pressure to generate, control, and transmit power. It can be divided into two major categories: Hydraulics is using liquid such as oil or water, whereas Pneumatics is using air or other gases. Hydraulic or Pneumatic cylinders and motors are commonly utilized in industrial application and in our daily lives. 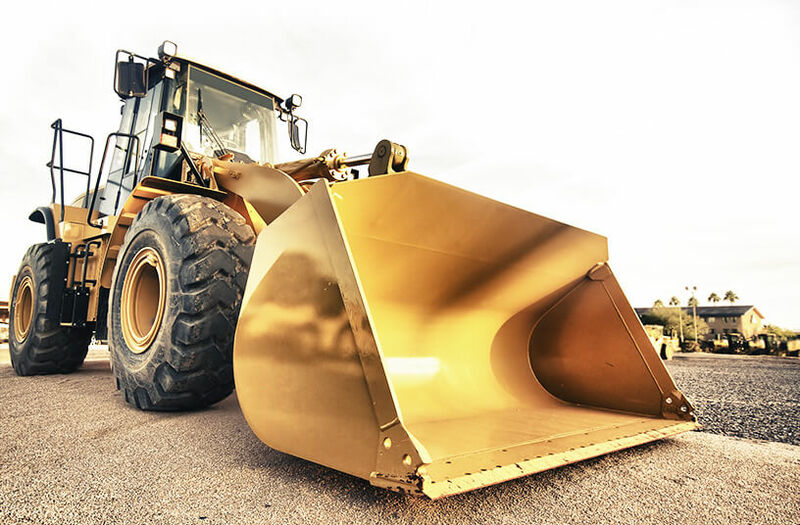 In industrial application, example such as earthmoving equipment manufacturing companies like Caterpillar, Komatsu, and Bobcat use hydraulic system on loaders and excavators to complete work on construction site. 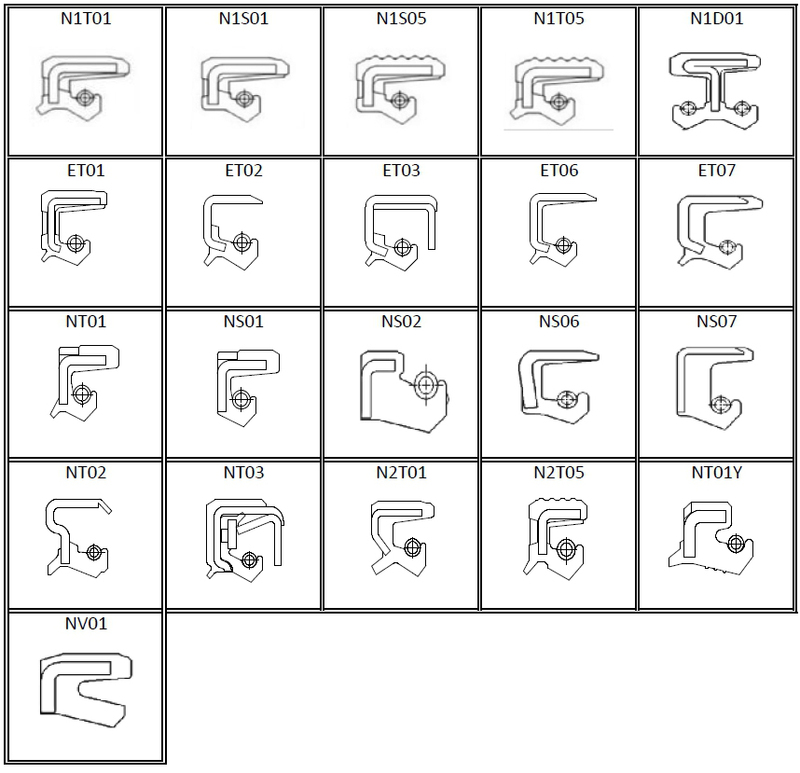 In our daily lives, application of hydraulic system can easily be encountered in office chairs and barbershop chairs. Hydraulic cylinder, also known as hydraulic motor, is an actuation device that makes use of a pressurized hydraulic fluid to produce forces to move cylinder in a linear direction. Hydraulic cylinder is consisted of cylindrical barrel, piston, and piston rod. Within the cylinder, there are multiple seals that are installed and each of them serve its’ function whether it is to prevent leakage of the hydraulic fluids, exclude outside contaminants, or provide protection to the piston and rod. 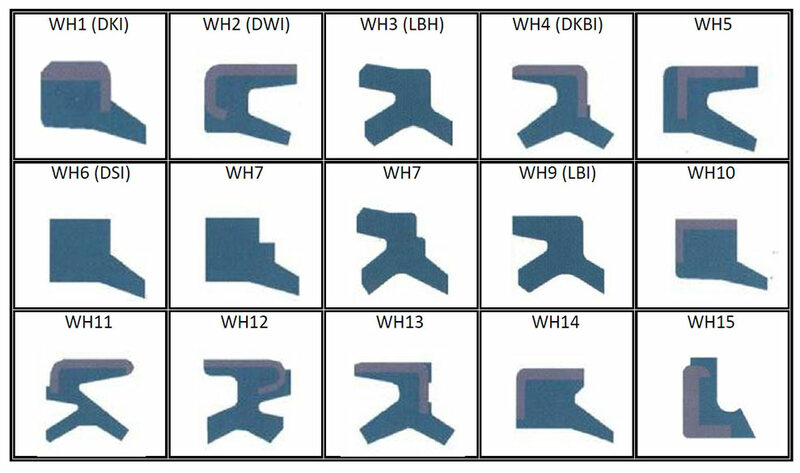 At WINTEK, our hydraulic sealing product is the best sealing solution for your application ranging from rod seals, piston seals, wiper seal series, and pin dust seal. 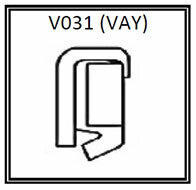 For notice, our WP3, WP6-DKB, WH series- DKBI, DKI, DWI) are widely used in construction machinery like Caterpillar, Komatsu and in other brands. 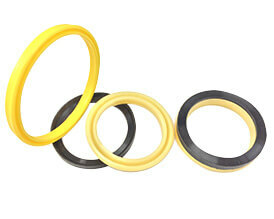 Rod Seal: One of the most vital components of the hydraulic sealing system. It is fixed on the cylinder bore and designed to prevent hydraulic fluids from leaking out the system during reciprocating motion. 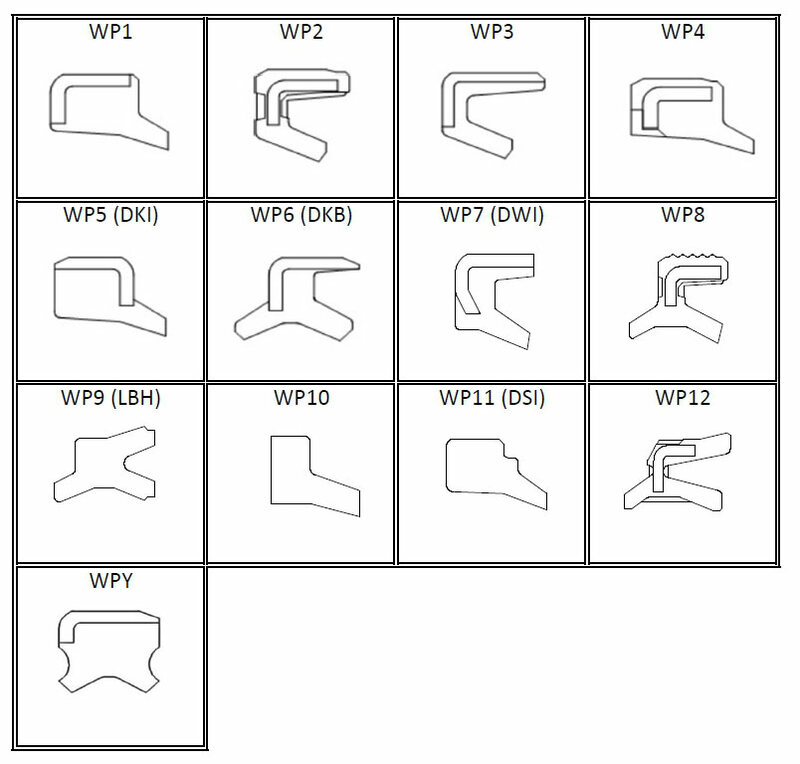 Wiper Seal: Wiper seals are designed for fluid containment to prevent dirt, dust, moisture from entering a reciprocating shaft mechanism. 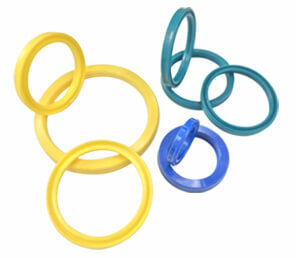 Wiper seals are mainly used in reciprocating motion for hydraulic and pneumatic cylinders. Scraper: Metal scraper consists of a thin spring brass scraper lip in tandem with NBR wiping lip encased in a steel shell. It is capable of removing dried or frozen mud, tar, ice and other contaminants from the rod. Materials are also available in Stainless Steel metal with an FKM wiper lip. Piston Seal: The piston seals are installed and fixed in separate piston grooves to seal against the cylinder to prevent hydraulic fluids from passing across the piston making sure the pressurized force can extend or retract the cylinder. Hydraulic pump is one of the hydraulic drive systems which can be either dynamic or static. 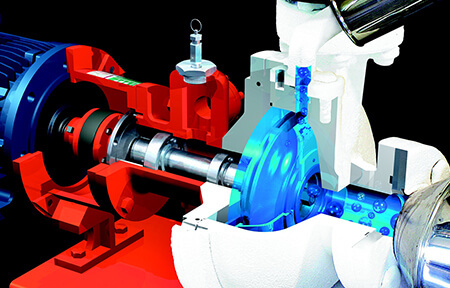 Hydraulic pump converts mechanical power into hydraulic energy. The flow it generates from the power overcome pressure induced by the load at the pump outlet. When hydraulic pump operates, a vacuum is created at the pump inlet and forces liquid to move from reservoir into the inlet line to the pump and delivers this liquid to the pump outlet by mechanical action and forces it into the hydraulic system. Pumps provide wide range of options and features with high pressure, long life, and quiet operation and are used in various applications. 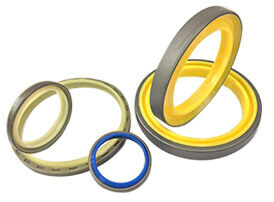 At WINTEK, we design seals with the ability to withstand high pressure, resist high temperature and chemical substance; providing effective sealing performance in pump application. Anti-Pressure seals are specifically designed for the use in pressurized operating conditions, which pressure is in the range of 3~10 Bar. 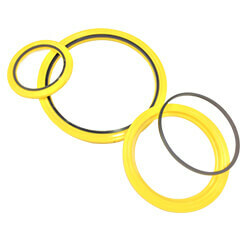 Anti-pressure design is used for high pressure application. The anti-pressure range (3 bars ~ 10 bars) depends on the shaft speed, length and thickness of flex section. Application typically for hydraulic pumps, oil pumps, and hydraulic motors. PTFE assembly seal design features an ID lip that seals dynamically on a shaft and metal casing on its OD to seal statically press-fit into a bore. 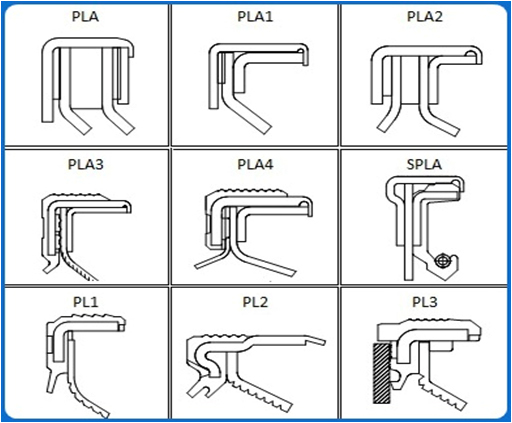 The PTFE sealing lip provides temperature capability and excellent chemical resistance and can function at much higher surface speed with low friction. 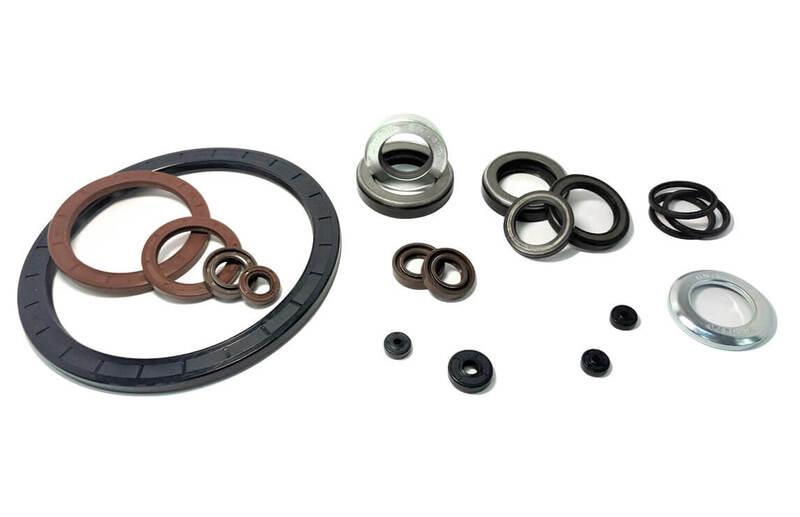 The seals are used in demanding applications where the operating conditions exceed the capabilities of elastomeric seals. This design’s versatility makes it suitable for hydraulic pump and motor. It also has a wide range of applications including: Motors, Gear Boxes, compressor and vales.